In spite of this public fame and exposure, he was also somewhat a man of mystery and an enigma. What we do know is that Professor A. L. Morrell lived from the middle 1800's to least the 1950's. He was known as, or commonly called, the "Jack-Knife King." 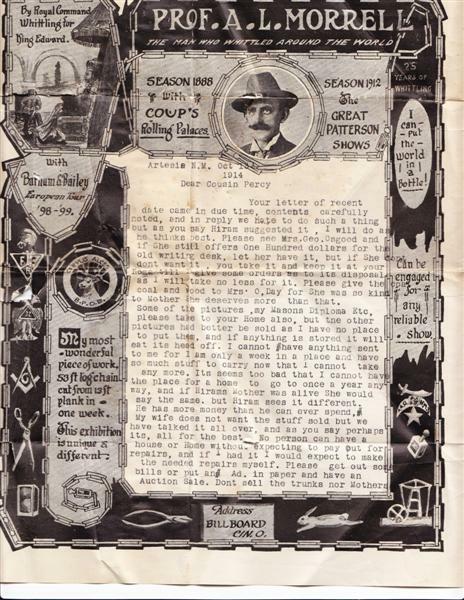 According to a description on a postcard featuring him, "Prof Morrell has been a professional whittler for over 35 years, has whittled his way around the world twice and over. An act different from anything ever seen. He saw a tramp whittling by the roadside, when he was a boy, 11 years old, and from that time on he did nothing but whittle, until he became an expert." His first public exhibition was in 1884. As we view the postcard and the wonderful display of carvings and bottles, we are truly impressed by Professor Morrell and his work. The sign in the postcard reads: "This is Prof A.L. 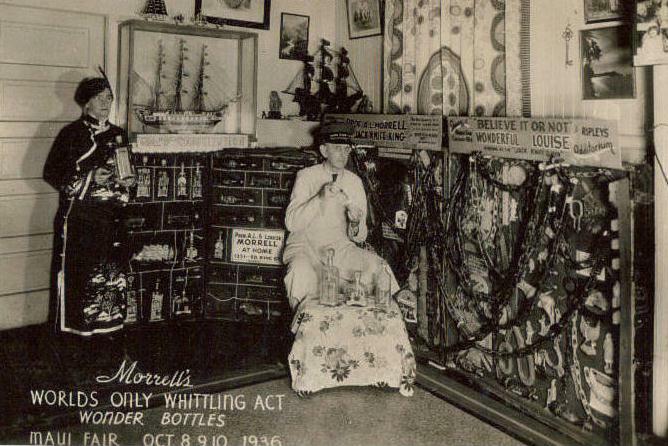 Morrell the Jack-Knife King and his World Wonder Bottles. The man who has whittled around the world." From the words on the sign you would naturally believe and accept as fact that Prof. Morrell made the bottle whimsys in the picture. 3rd row small sign in back: Too small to be legible - possibly referring to ships. He lived a very public life and yet amazing little is known or can be found about him. 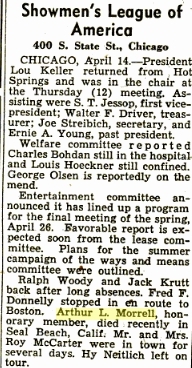 Additionally, some of the facts and details about him and his work are somehat contradictory and perhaps misleading.To start, one set of birth records show that he was born Arthur Lincoln Morrill in Salisbury, Massachusetts in 1866. Another record states that he was born Arthur Lincoln Morrell in Salisbury, Massachusetts on February 2, 1861 and died on April 1, 1951 at the age of 90. A third set of records state that Arthur Lincoln Morrill was born in 1861 and died in 1951. It is generally accepted that the date of birth is 1861 but the spelling of the last name if still a question. Clearly, he used Morrell in his advertising, postcards, and pamplets. But was Morrill his surname or was it later changed to Morrell? 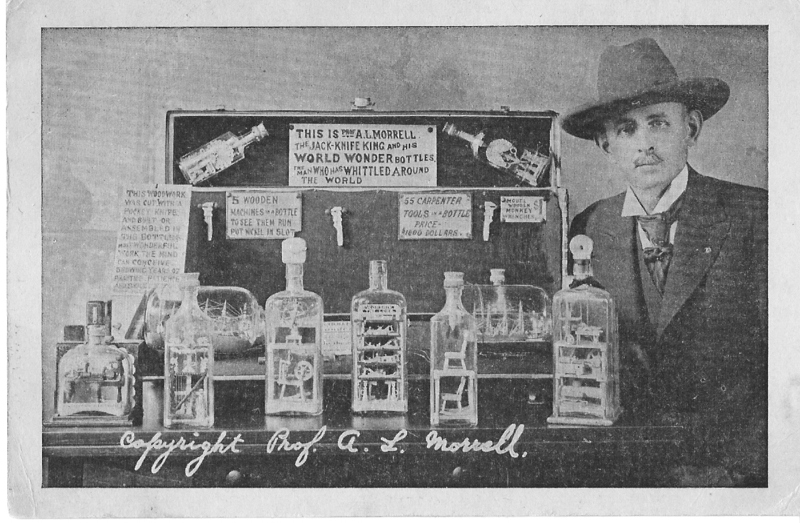 Another mystery is centered on a postcard featuring Professor Morrell with his folk art bottles. He is shown with many bottles around him and clearly, the scene implies that he is the artist and craftsman of these bottles. 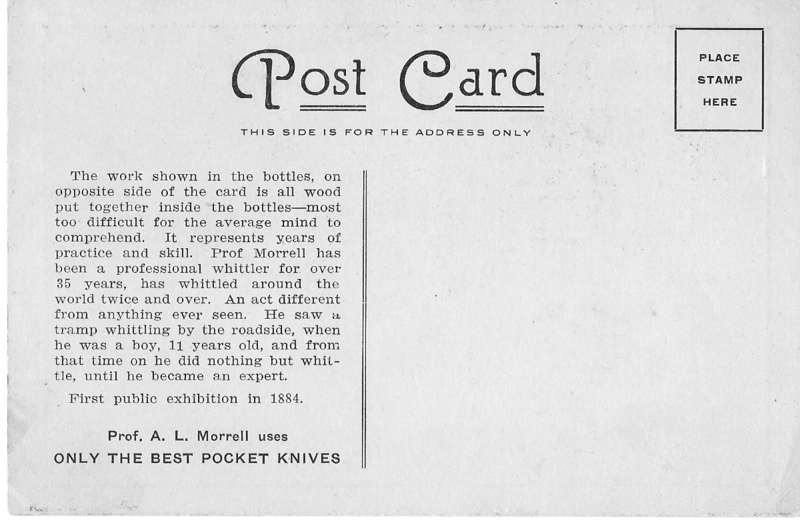 The problem is that when the bottles pictured on the postcard are examined closely, the question must be asked "are they the work of Professor Morrell after all? From known work, and pictures that exist, the bottles appear to be the work of artist, Daniel Rose. In fact, there are pictures of Daniel Rose with these very same bottles around and behind him on another postcard. 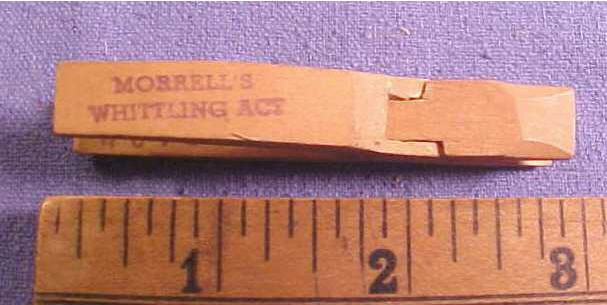 Daniel Rose, later registered at Washington, D.C., as "Champion Whittler of the United States." was born in 1871 in Johnston, Pennsylvania. He was afflicted with Rheumatism in 1889 and confined to a wheel chair until his death in 1921. Daniel Rose is among the most noted artist of bottle whimsys and is known to have made over 100 bottles. To date, no known bottles by Professor Morrell have been identified, to our knowledge. Only time will tell if we can discover new facts about the bottles and Professor Morrell. 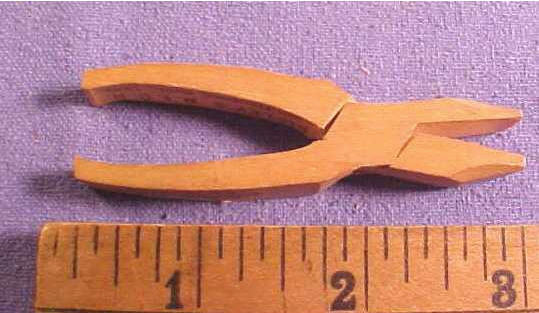 IIn fact the only item I know of is wooding pliers that have identification prinded on the pliers. If these are in fact bottles made by Daniel Rose, what are they doing on this postcard? And why are we led to believe by the sign that they were made by Prof. Morrell? 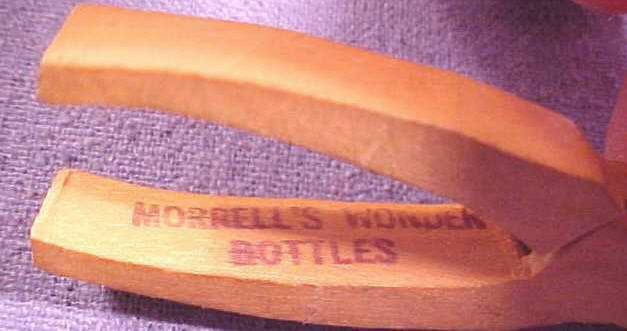 Did Morrell buy these bottles from Daniel Rose and then take them with him to show examples of this craft, or perhaps represent them as his own work? Was he merely helping Daniel Rose sell the bottles by taking them to his exhibits and shows? Did Morrell and Rose even know each other? We may never find out these answers but we do know they were contemporaries of each other and they did engage in a similar craft, so that is indeed a possibility. The following postcard features Prof. Morrell and his wife. His father William C. Morrill was brother to Mary P. Morrill. 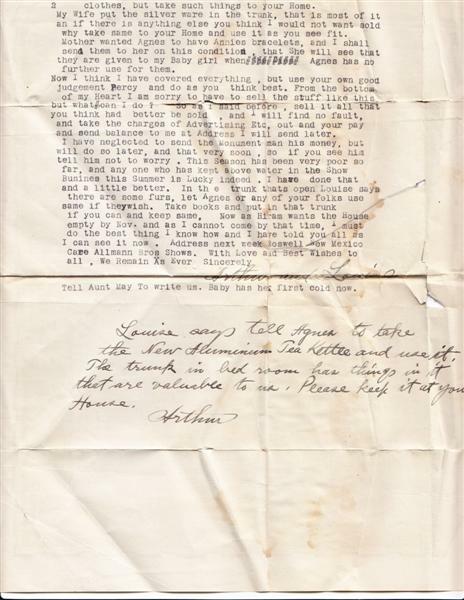 William C. lived at 490 main st, and owned a boat shop in Amesbury, Ma. on the Merrimac River. Mary P. Morrill married Frank M. Andrews. 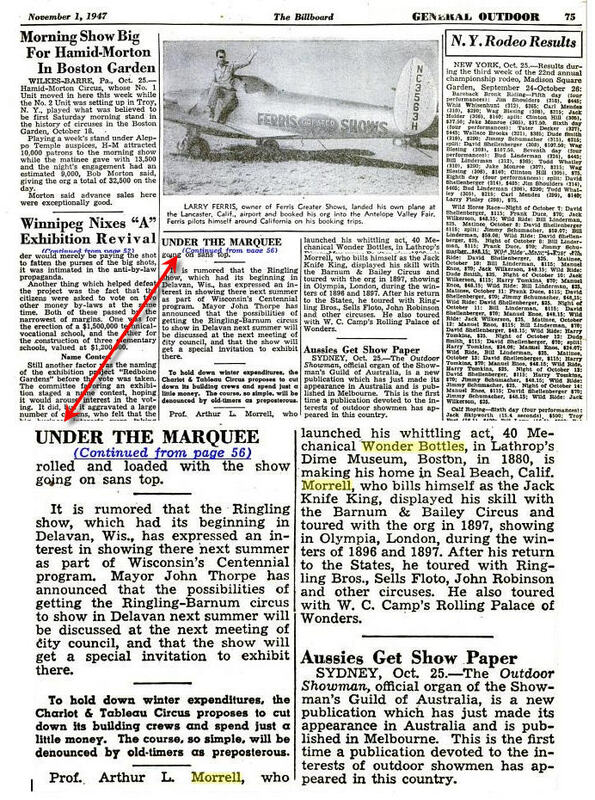 Frank Andrews worked for William C. Morrill at the boat shop and eventually bought it. The boat shop came down thru the Andrews to 1964. Fiberglass and WW2 put the Andrews out of business. W. C. Morrill moved to Hillsboro, NH around 1900 and may have had a second wife. Californis death record has him named Morrell. 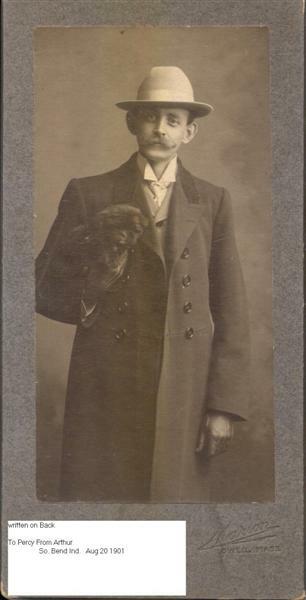 However this is the same man, photos and letter confirming and he is a cousin to Percival Andrews.